Iran's Bavar-373 air defense system to be deployed by year-end: Cmdr. Iran’s Bavar-373 air defense system to be deployed by year-end: Cmdr. A senior Iranian commander says the country’s domestically-built Bavar-373 air defense system would be ready for deployment by the end of the current Iranian calendar year (March 19, 2016). Commander of the Iranian Army’s Khatam al-Anbiya Air Defense Base Brigadier General Farzad Esmaili made the announcement about the system, which is already under development, among reporters in Tehran on Tuesday. Bavar-373 air defense system was successfully test-fired last August. The long-range system, which is similar to the Russian S-300, has been manufactured by Iranian defense experts and is capable of hitting air targets at a high altitude. Esmaili also told IRNA that Iran has successfully tested the domestically-built Talaash (endeavor) air defense system at medium latitude. 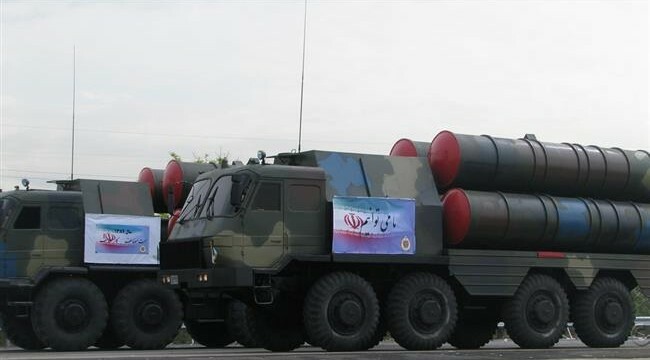 The missiles of Talaash air defense system were showcased during massive parades on the National Army Day on April 18, the Iranian commander said. “We seek to complete the Talaash air defense system with [a range of] ultra-high altitude next year,” the commander said. Iran has repeatedly assured other countries that its military might poses no threat to other states, insisting that its defense doctrine is entirely based on deterrence.